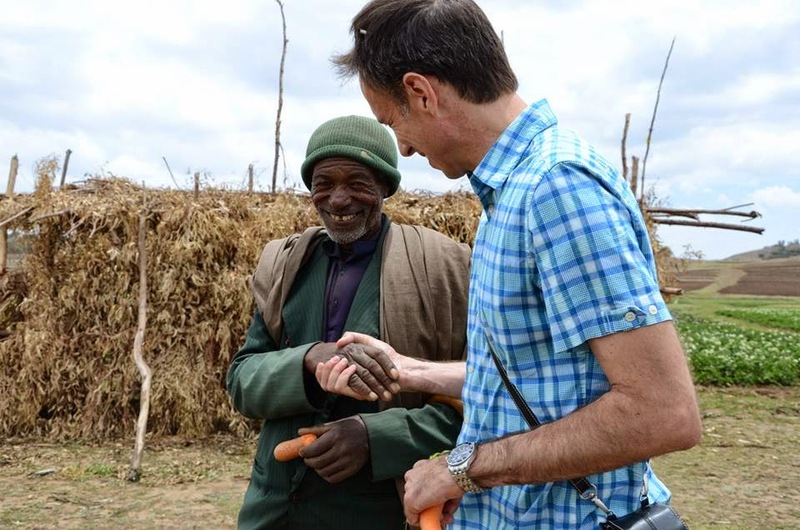 On 14th May 2014, Michael Gort, the Deputy Permanent Representative for the Permanent Mission of Canada to the Food and Agricultural Agencies of the U.N. traveled to Ethiopia to view IFAD Country Office projects. Recently, Canada made the fifth largest pledge to the Eighth Replenishment of IFAD funds, and provided CAD 20 mill (USD 18.41 million) towards the Global Agriculture and Food Security Programme (GAFSP), further strengthening the IFAD – Canada partnership. Michael Gort's mission was to view investments and partnerships supported by Canada’s contributions to IFAD resources. 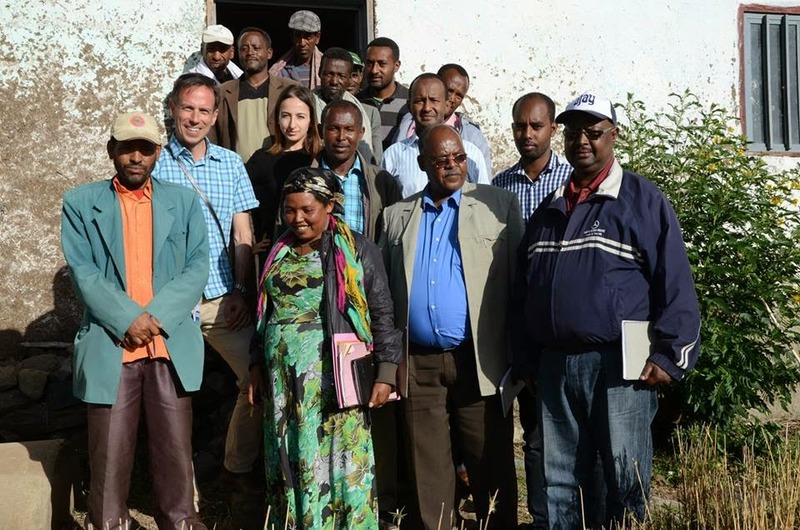 We visited the Cha Cha 2, 160 hectare irrigation scheme, supported by the IFAD Participatory Small Scale Irrigation Development Programme, in Debre Berhan, 130km away from Addis Ababa. The previously underutilized communal grazing land has been transformed into lush agricultural fields growing barley, carrots, cabbage, chickpea and potatoes through the community’s action. 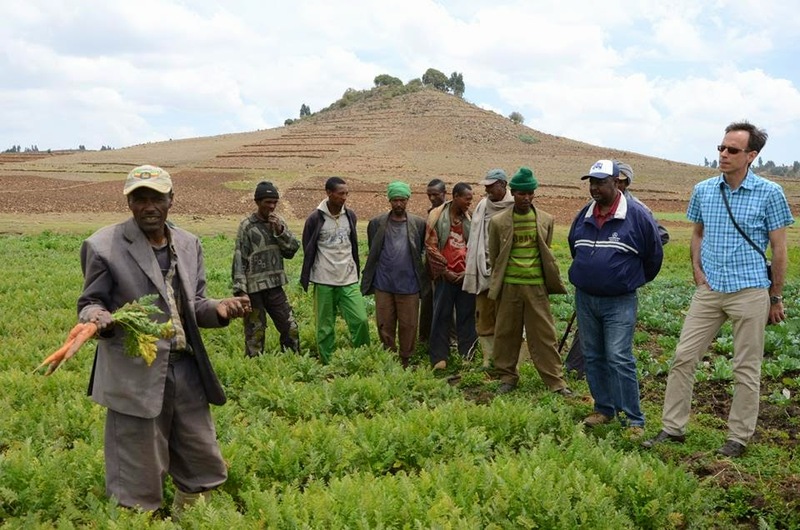 We had an opportunity to speak with Tesfaye Eshetu, a farmer with a one hectare farm within the scheme who has been able to double his harvest thereby increasing his earning by 35,000 birr (USD1, 795) since 2012. No longer dependent on rainfall, he is now able to harvest over twice a year, and has built-up assets buying four oxen, five sheep and three milking cows. These investments have increased the amount of land he is able to plough, and with returns, he is able to meet his family’s education and financial needs. Increased production has created new challenges for these farmers, such as their frustration at the low prices being offered for their produce by traders. With information from newspapers and radio stations these farmers are now acutely aware of the market prices. The Secretary of the water user association stated they were already organizing themselves to negotiate for fair market prices, having recently registered an irrigation cooperative last year. Michael Gort stated “it is farmers who feed their families, their children, the Country and the Globe”, applauding their efforts to embrace irrigation technologies. Later we arrived at Fana Guidina Credit and saving Union, in Sheno, an hour North of Addis Ababa supported by the Rural Financial Intermediation Programme - Phase II . Michael Gort spoke with Cooperative members who had benefited from the union’s loans, and was impressed by their commitment to save and support their households to make a difference in their lives. Reflecting on the mission, Micheal Gort told us how the mission was helpful to understand how IFAD works on the ground. 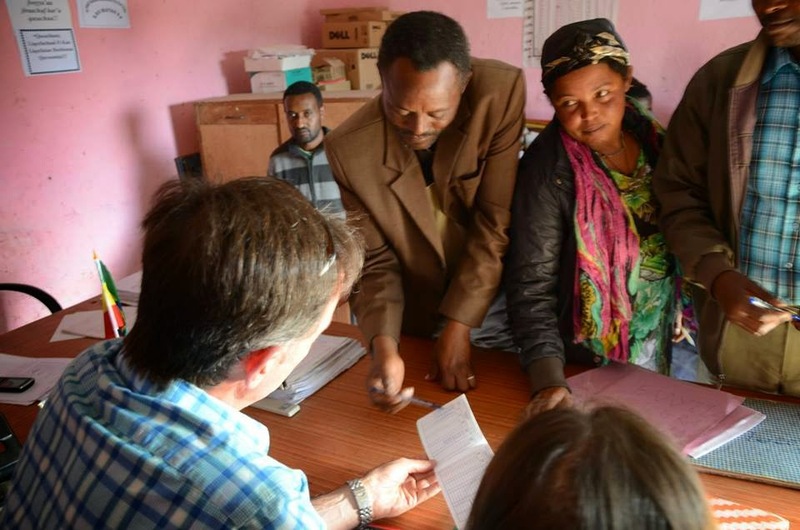 “It is good to see how things work and improvements from IFAD’s efforts. Small-holder farmers are key players and their engagement in value chains to access markets can unlock economic development and growth for Countries.” Michael also noted Canada’s continued strong support for Ethiopia’s ambitious programmes for development, stating that Ethiopia is an example of how Government leadership and ownership of development policies can lead to successful investment in the right sector, agriculture sector.